Properly cleaning your screen is essential not only for your screen printing jobs, but also for the life of your screen. Here’s quick step by step instructions on how to properly clean emulsion off your screen. Remove the excess ink off of your screen. 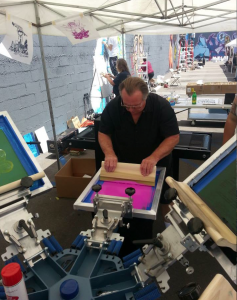 Feel free to use whatever you have handy for this process…sponge, piece of cardboard, etc. 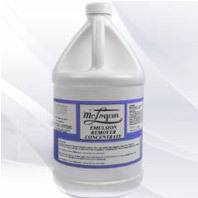 Use a red Mclogan Scrub Pad, spray your Mclogan Emulsion Remover Concentrate onto the front and back of the screen. Scrub both sides. Rinse with water. A high pressure washer is recommended. Now your screen is ready for your next job.